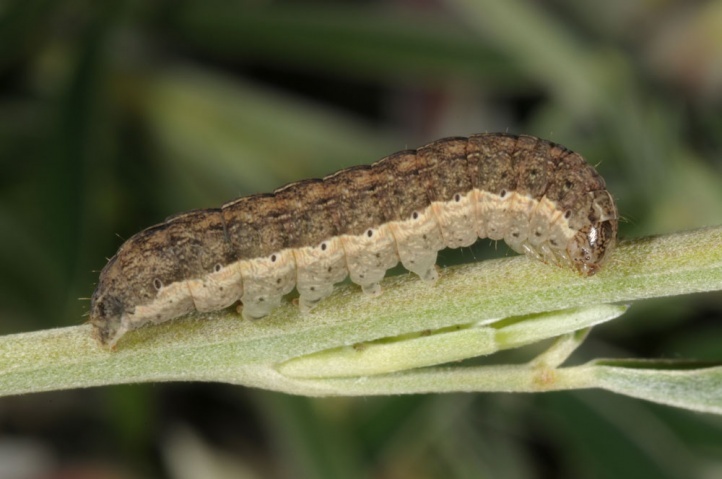 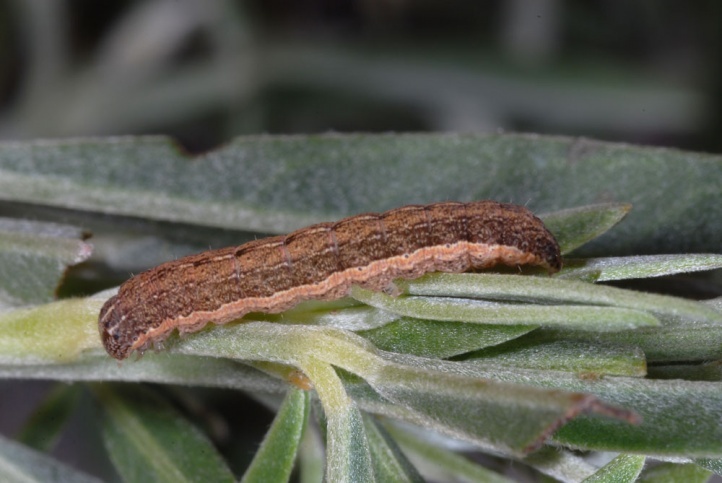 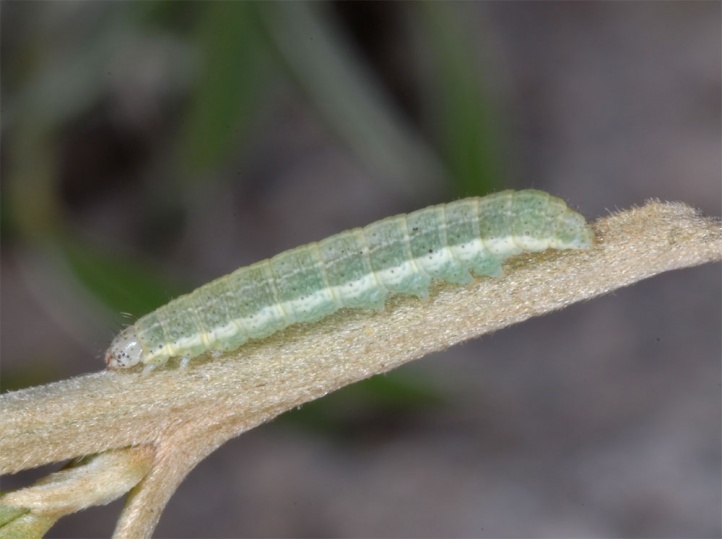 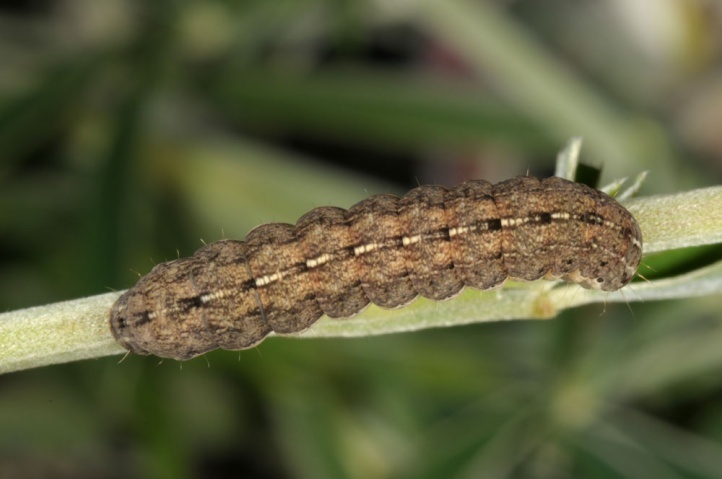 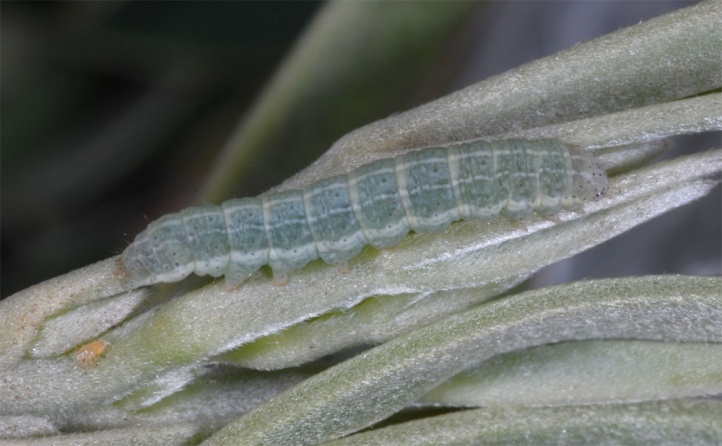 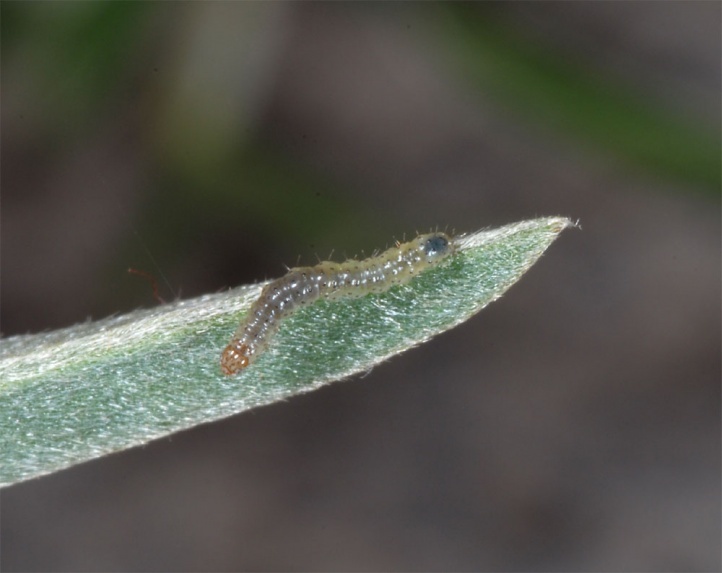 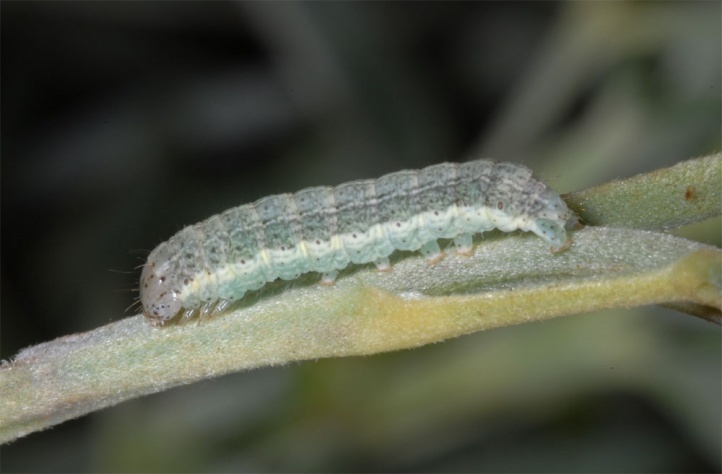 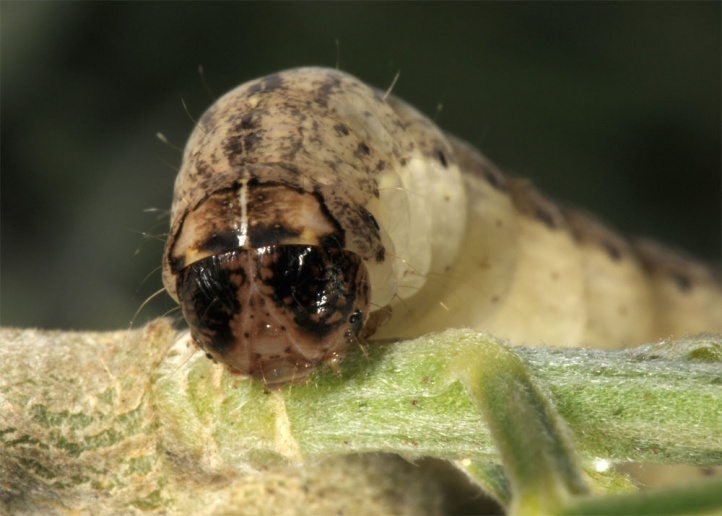 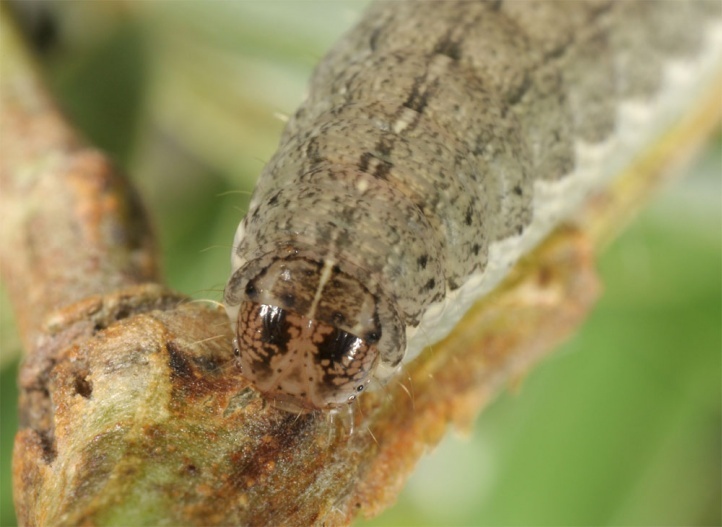 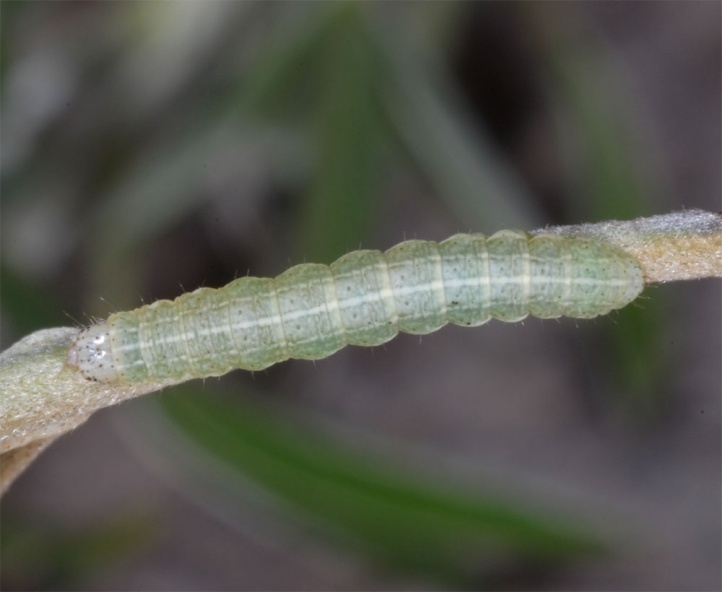 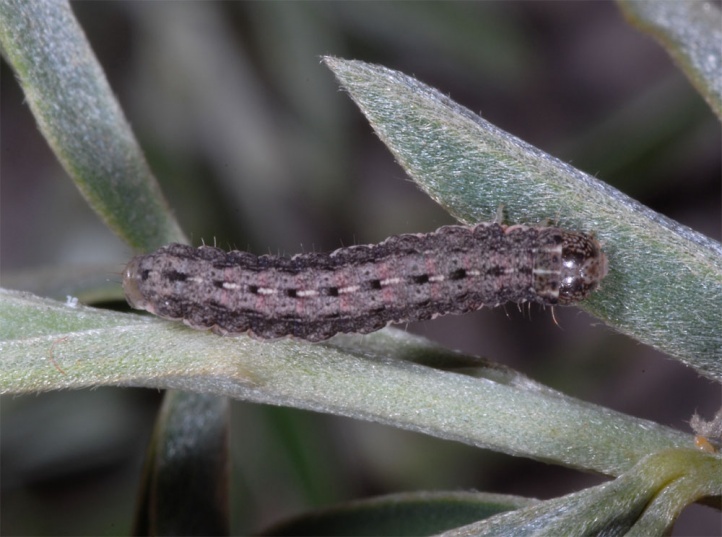 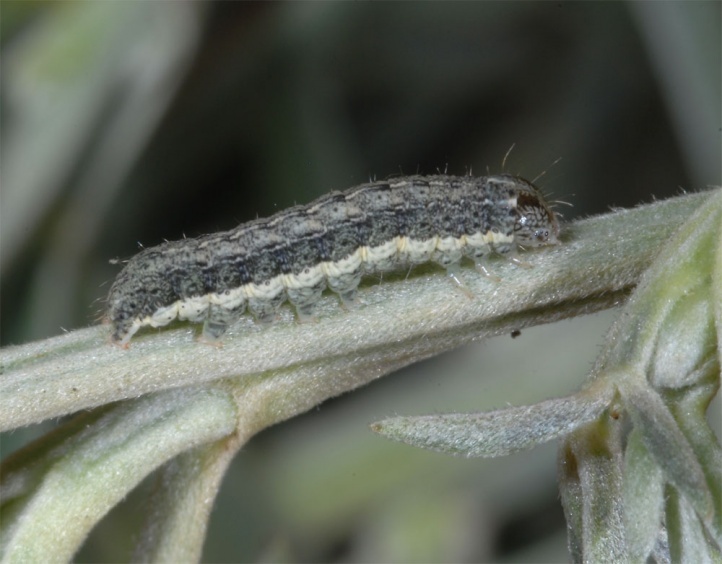 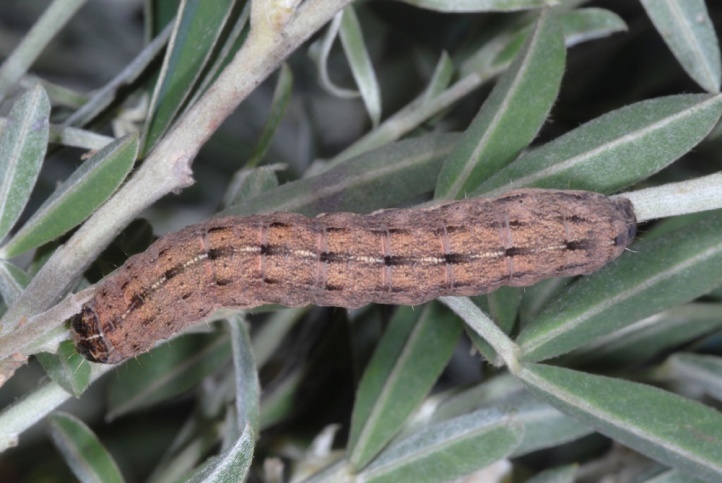 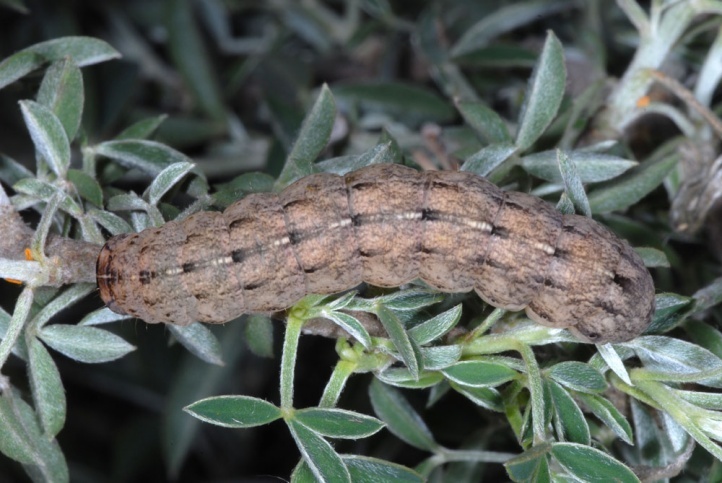 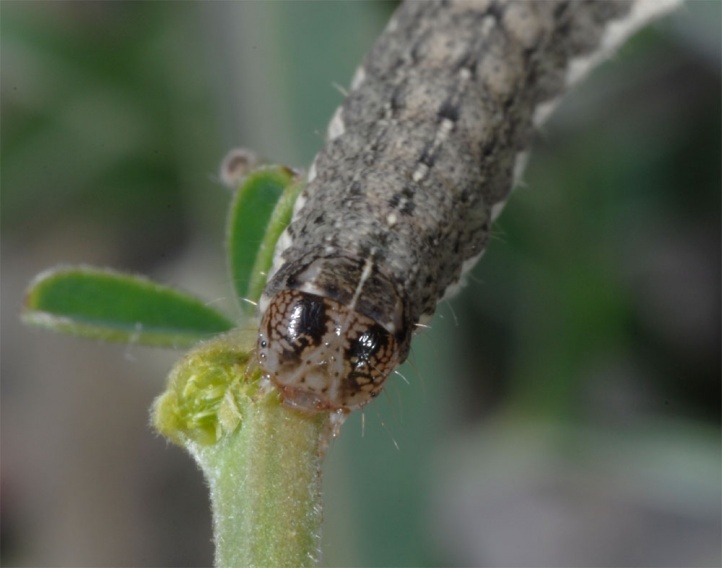 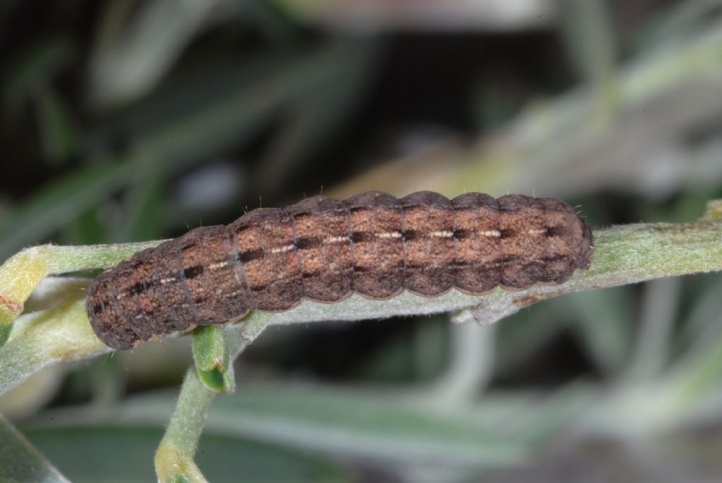 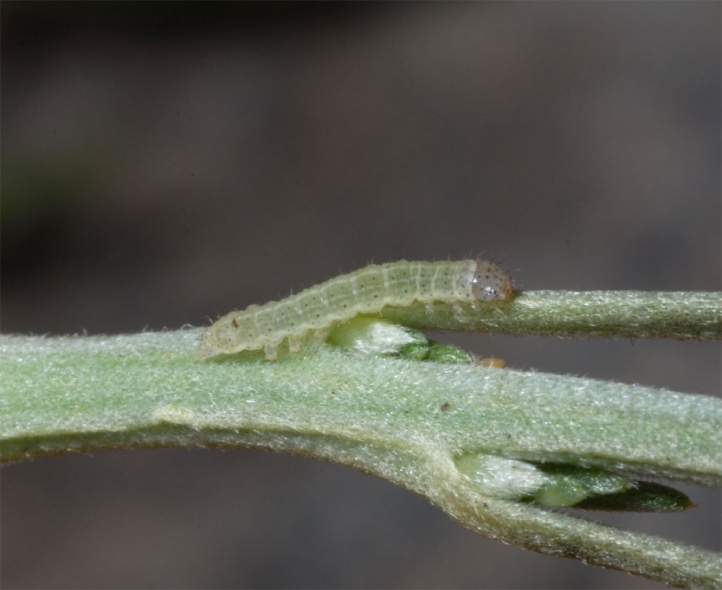 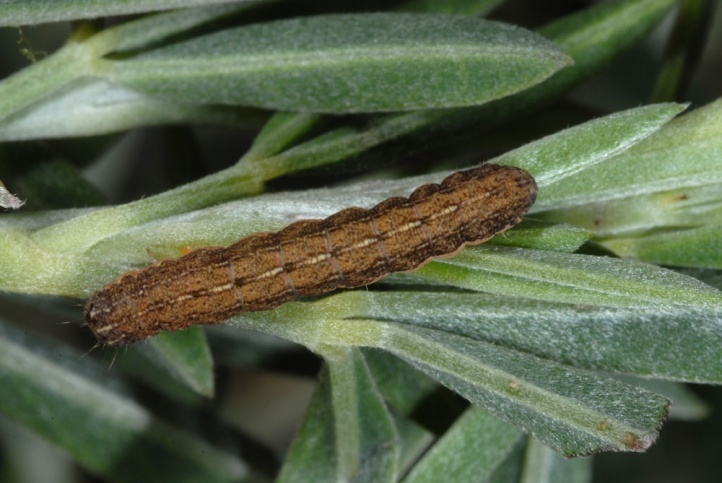 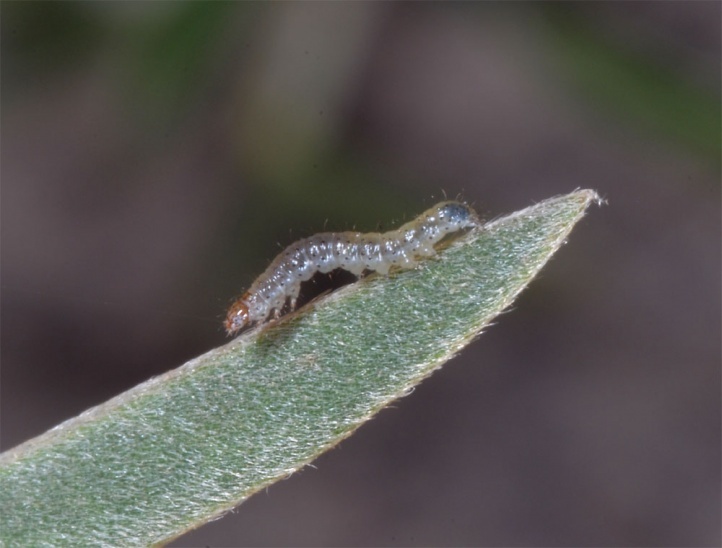 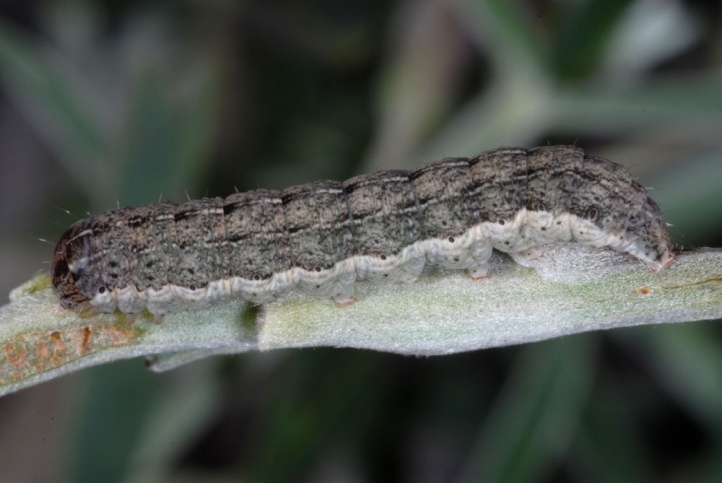 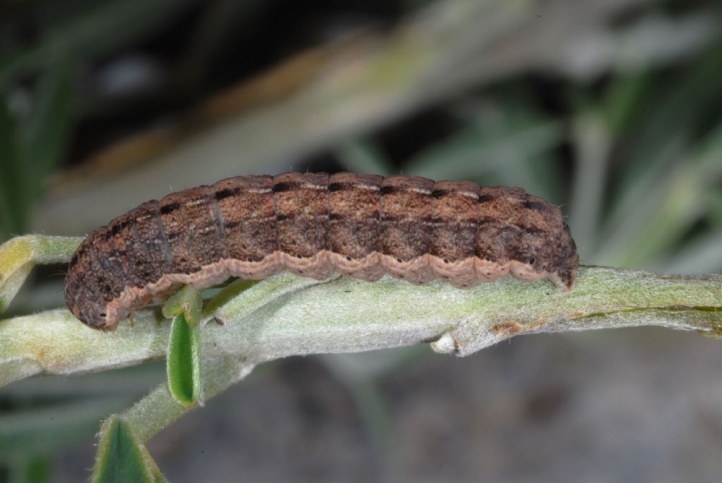 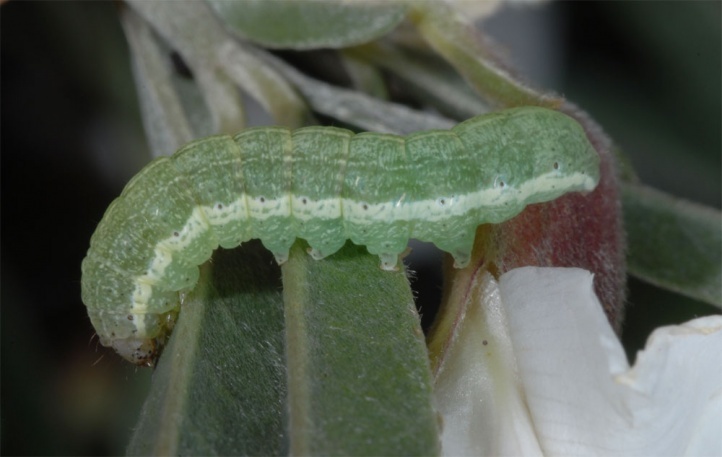 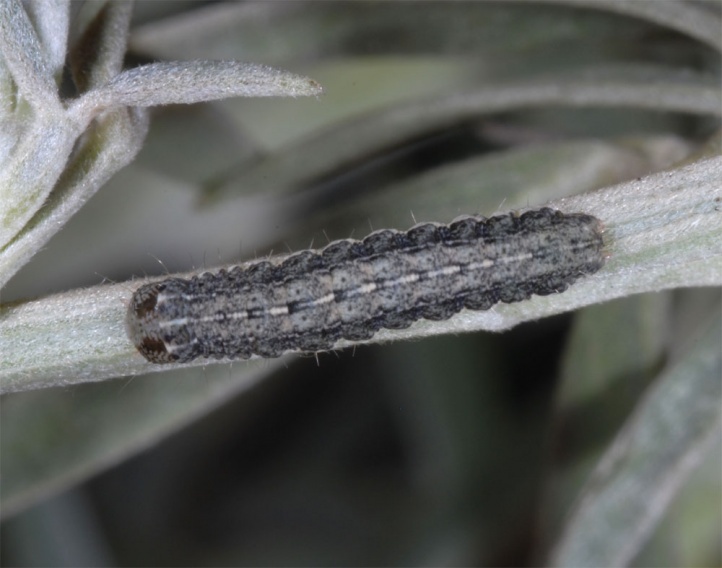 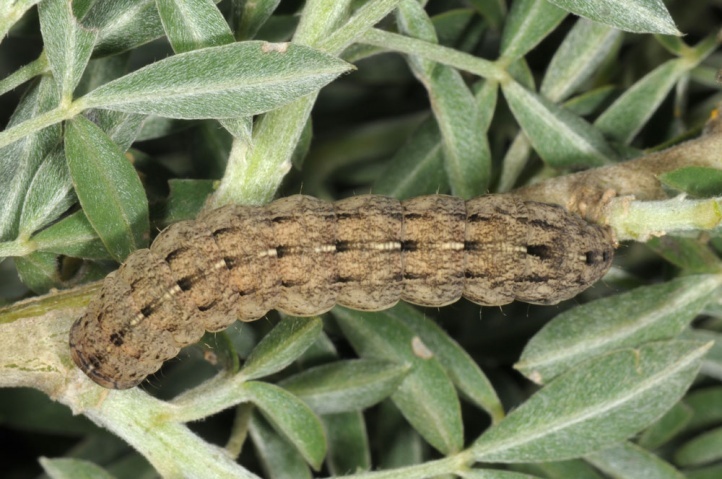 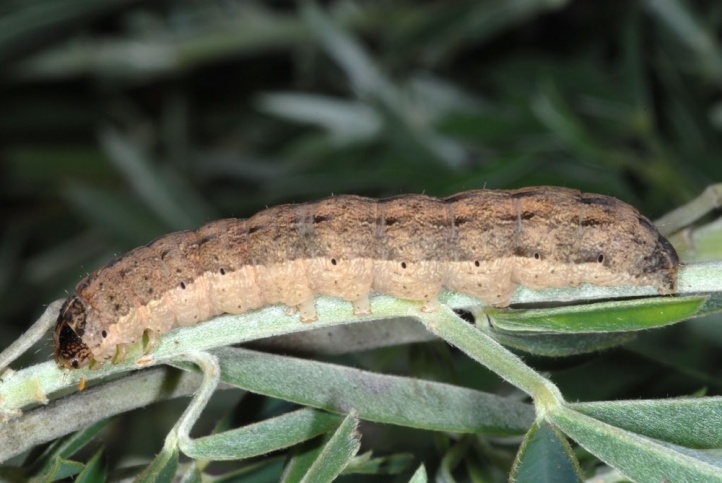 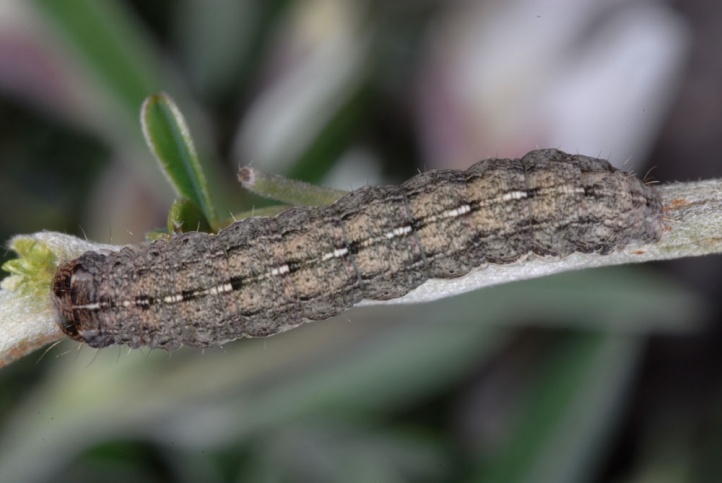 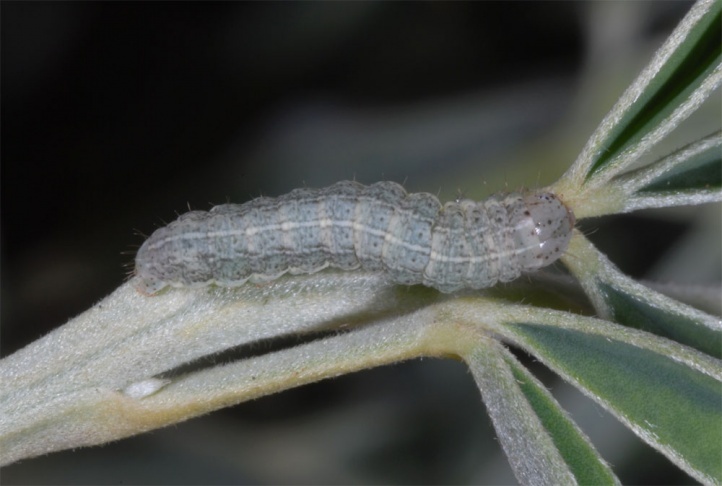 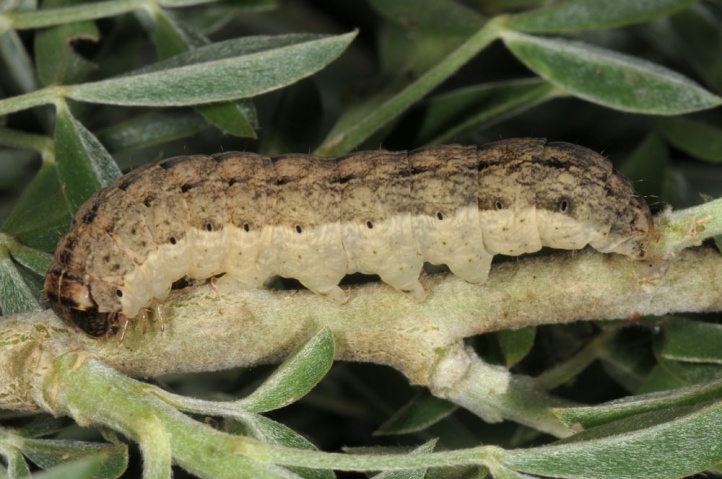 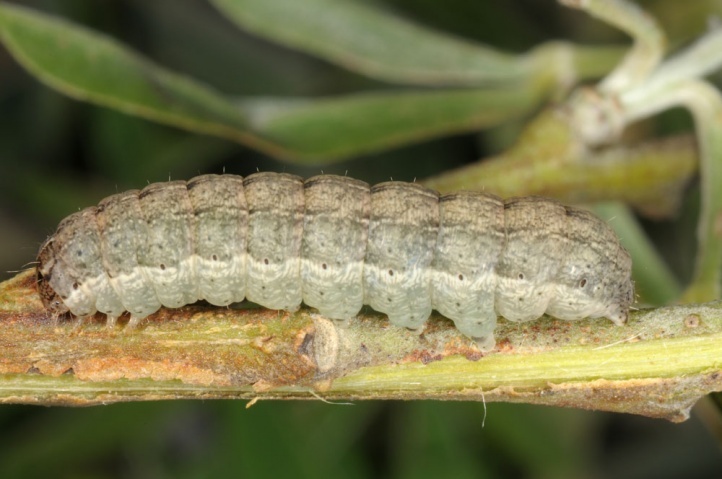 The larvae live on Chamaecytisus proliferus in the field. 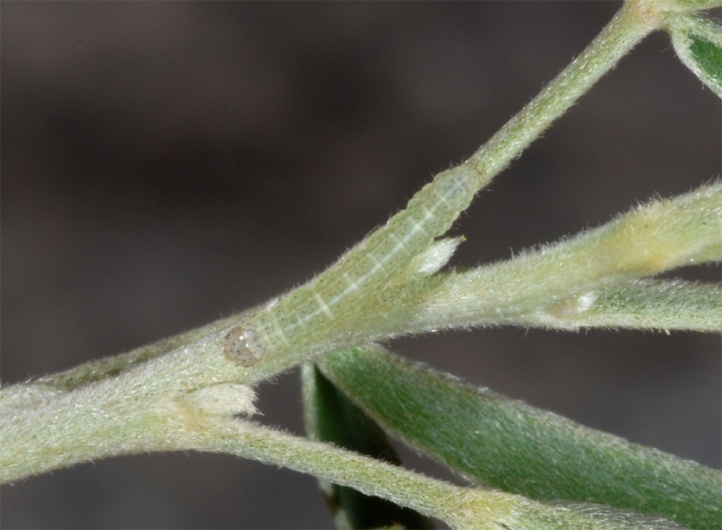 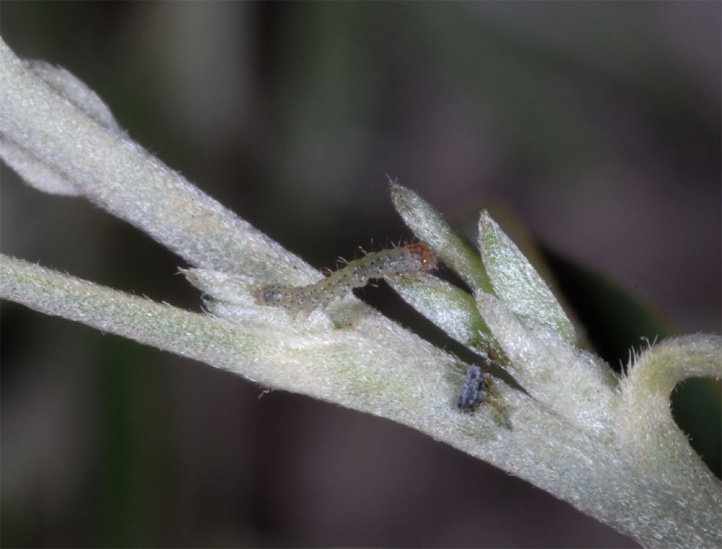 Oviposition seems to occur only on this shrub and young larvae can be beaten from it. 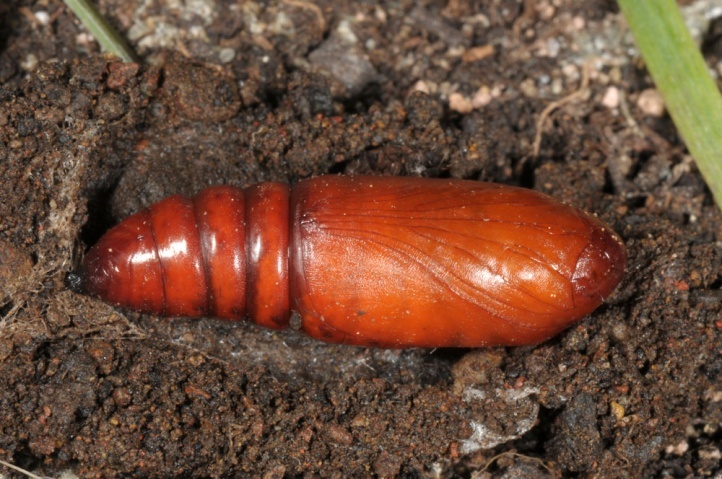 But in captivity, the larva is quite polyphagous and accepts also Asteraceae and others. 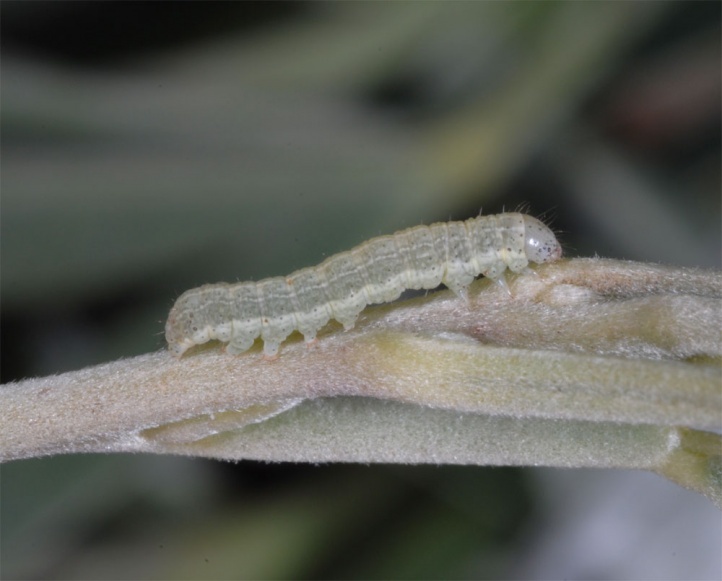 So the later instars feed possibly also on other plants than Chamaecytisus proliferus, but this must be validated in the field. 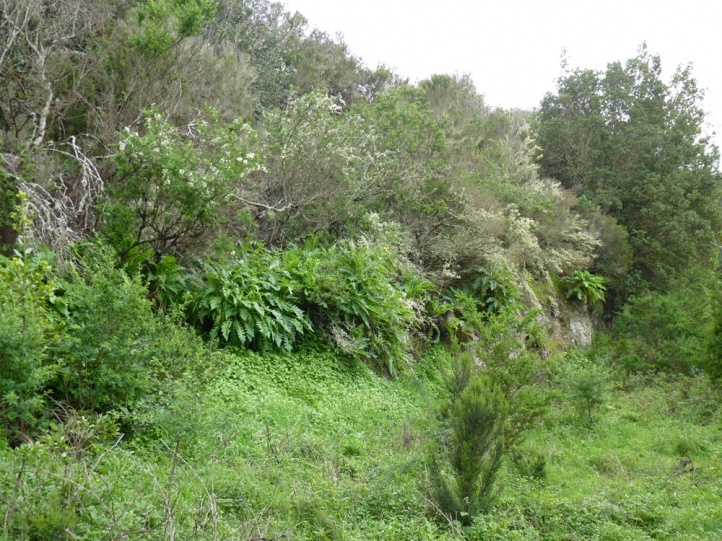 Paranataelia tenerifica inhabits the margins and brighter areas of the laurel forest belt, if Chamaecytisus proliferus occurs. 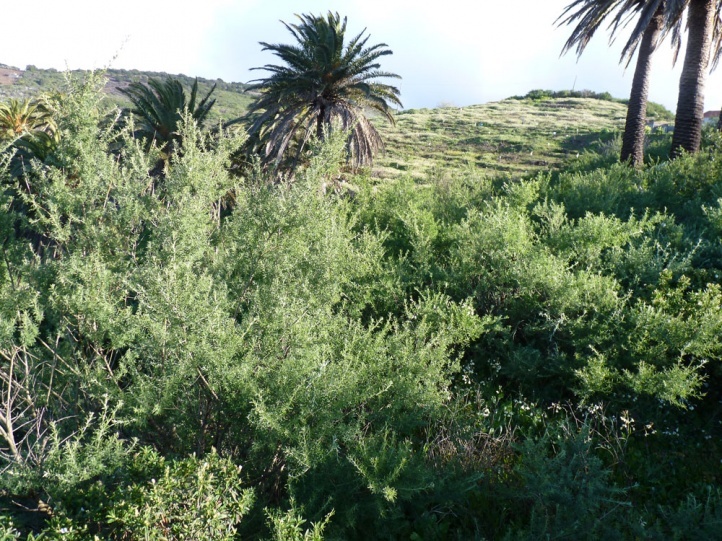 But the main habitat are loosely to dense broom scrub landscapes with dominance of Chamaecytisus proliferus in sunny or shady position. 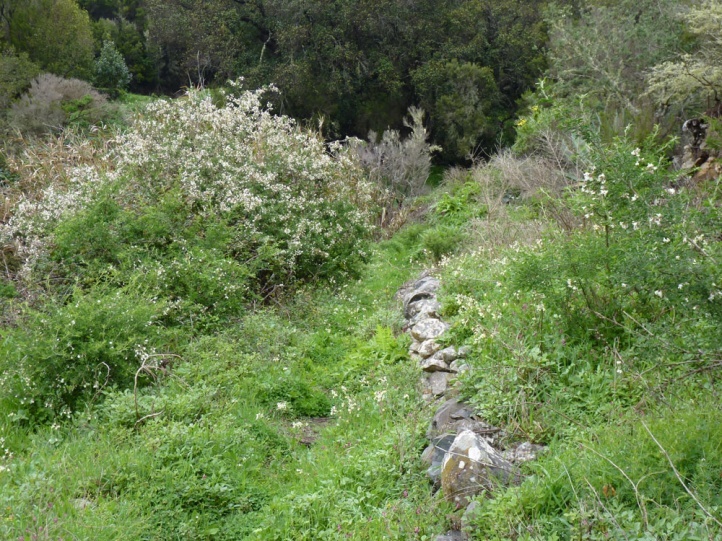 Such areas are located on for example La Gomera mostly on the southern border of the Garajonay National Park and showed a quite high abundance of young larvae in February 2013. 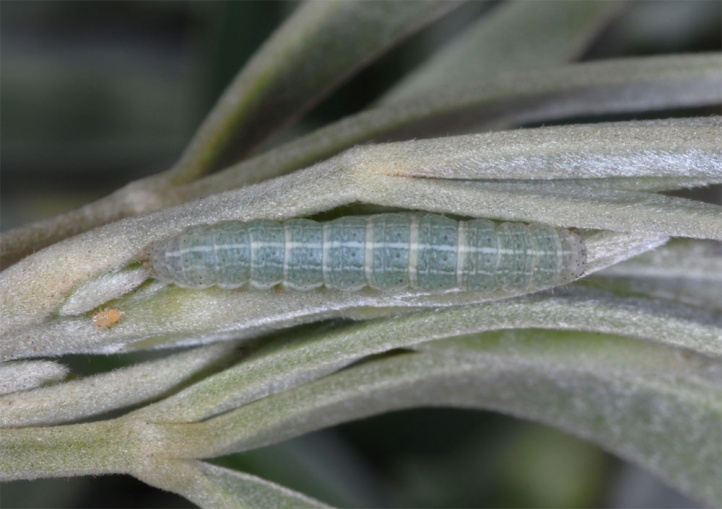 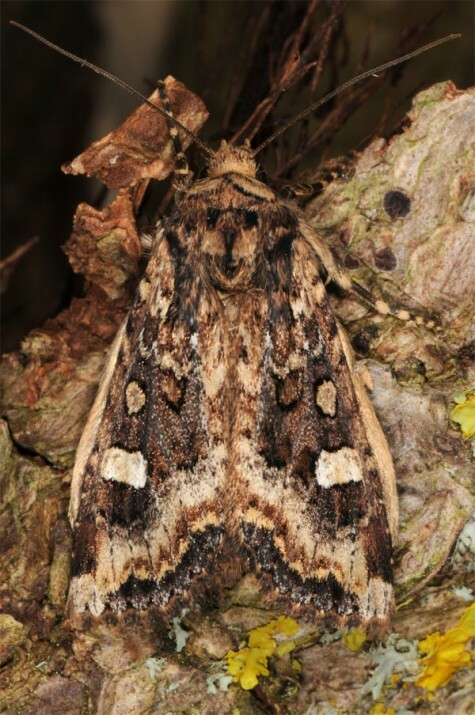 The pupa aestivates and the adults are on the wing in winter (November to February). 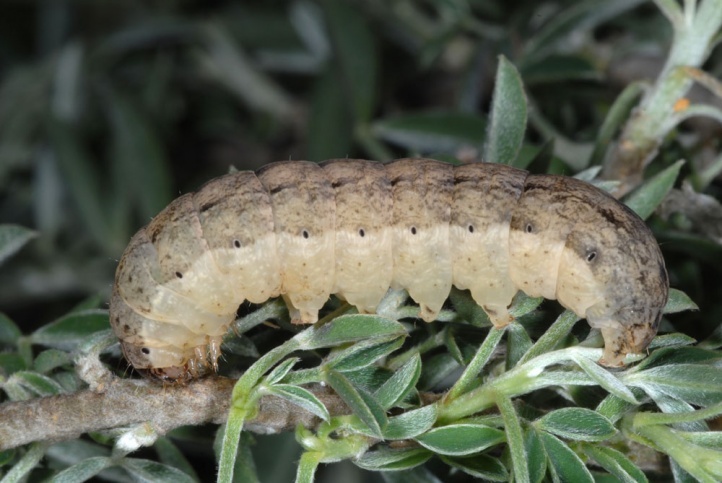 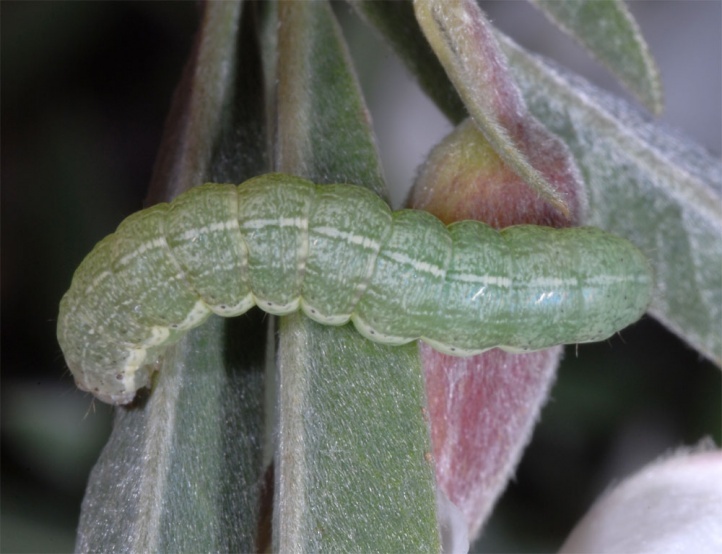 The larva can be found between mid-December and April. 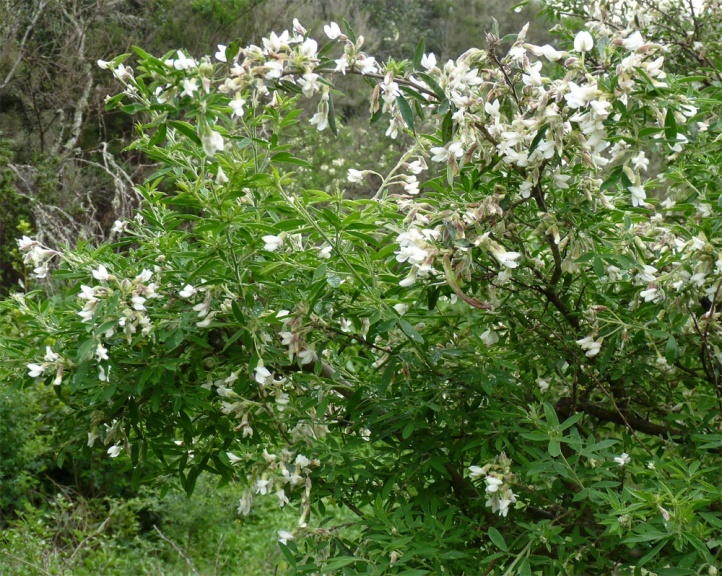 They are whitish green like the host plant when young and live then on the bushes also at daytime. 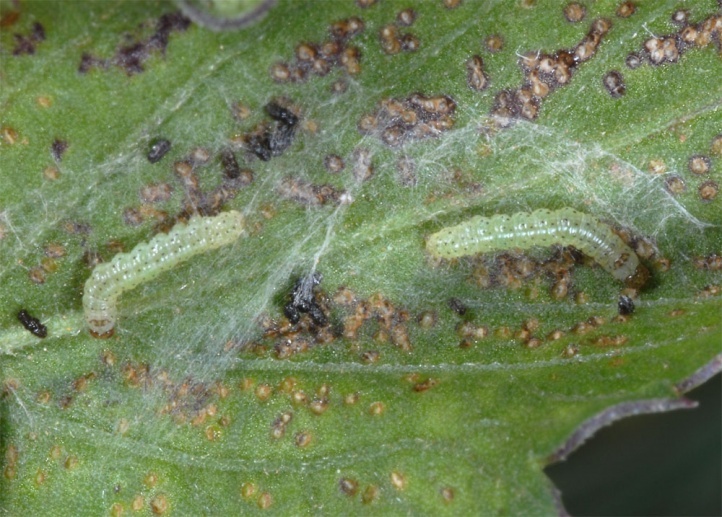 They web shelters (leaves) especially for moulting. 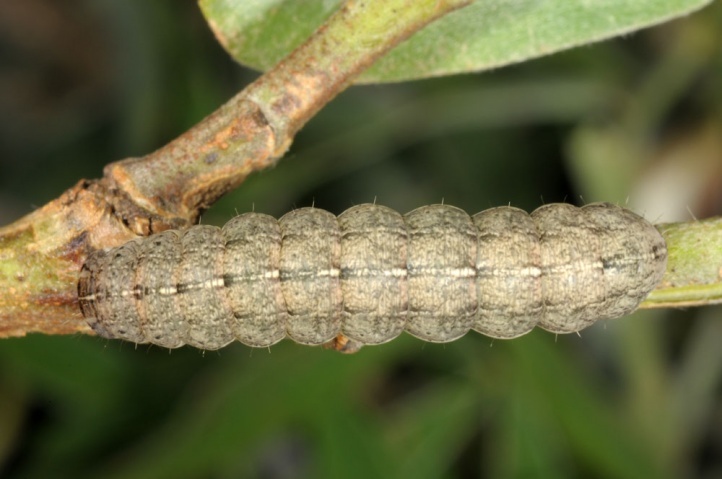 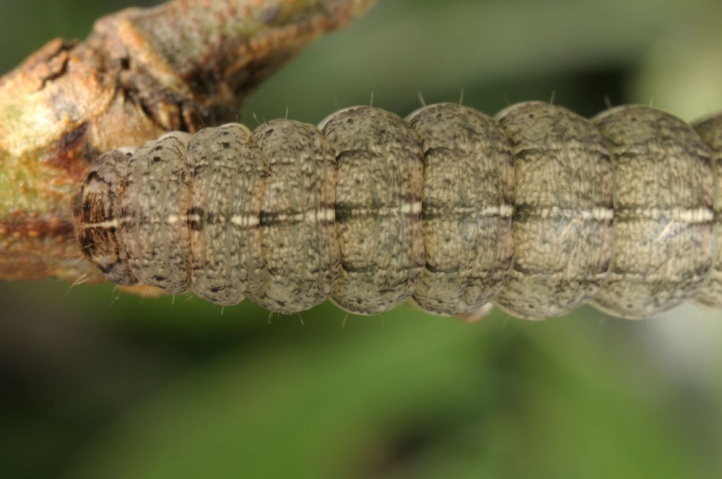 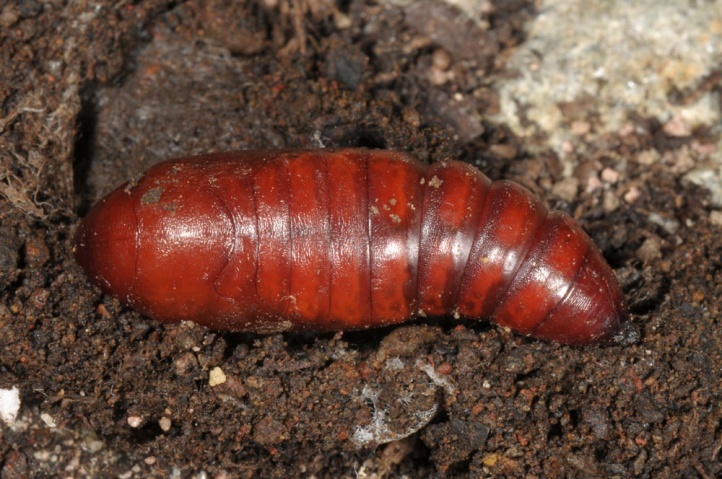 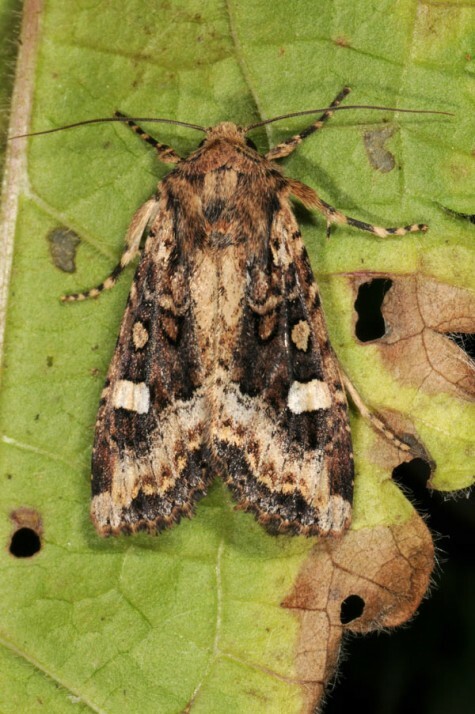 The older larvae are brownish and hide at daytime on the ground. 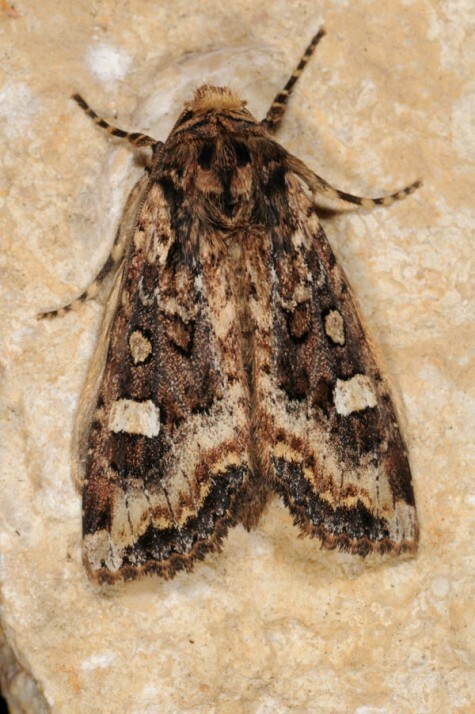 Paranataelia tenerifica is strongly endangered. 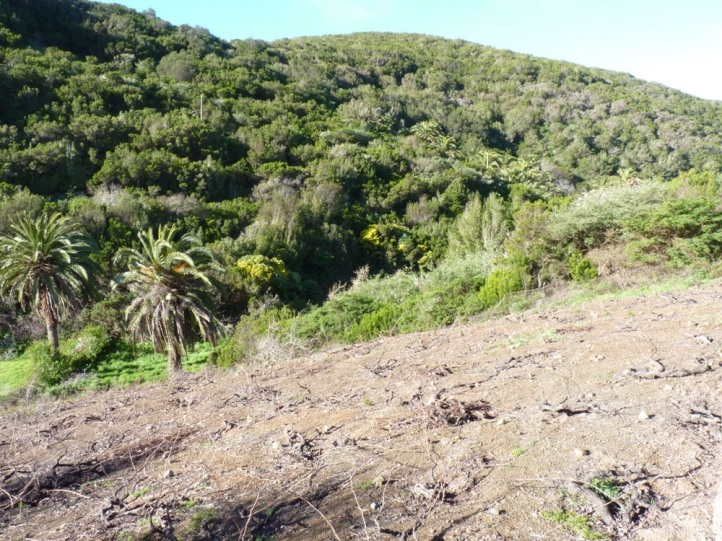 On the one hand the laurel forests have already been pushed back heavily. 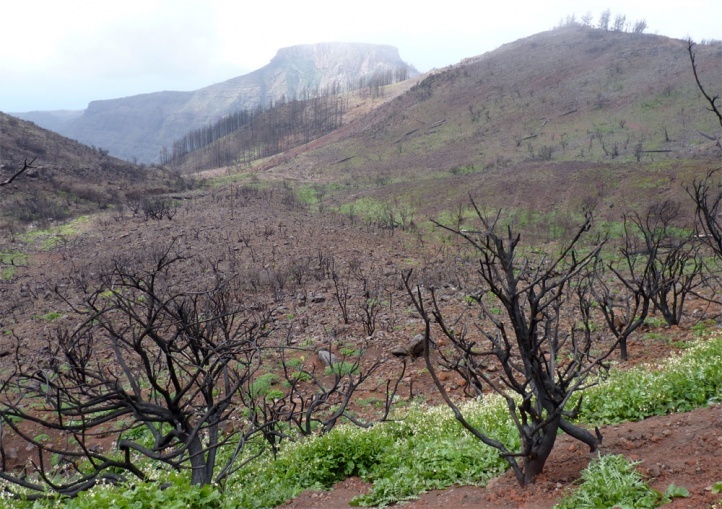 On the other hand especially the best habitats are often affected by bush fires as it was the case in an extreme extend in La Gomera in the main distribution area of Paranataelia tenerifica between Las Hayas and Roque Agando in summer 2012. 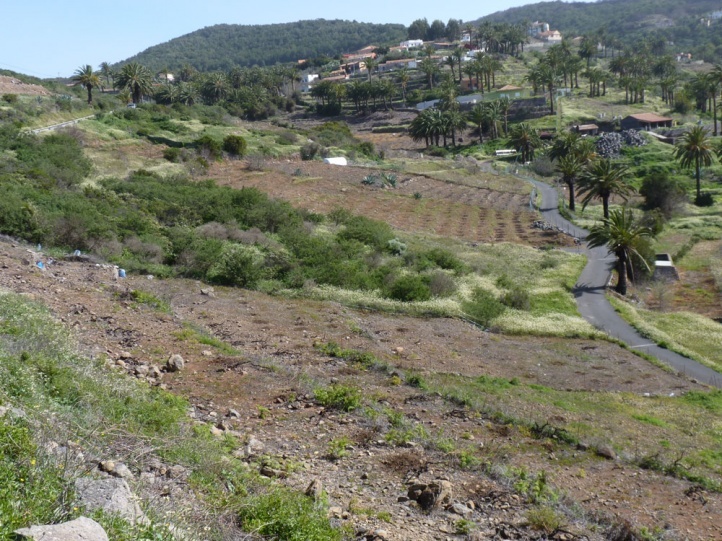 A further main risk factor is agriculture which has for example already destroyed many broom shrubs in La Gomera in order to expand the EU-supported viticulture (see photos). 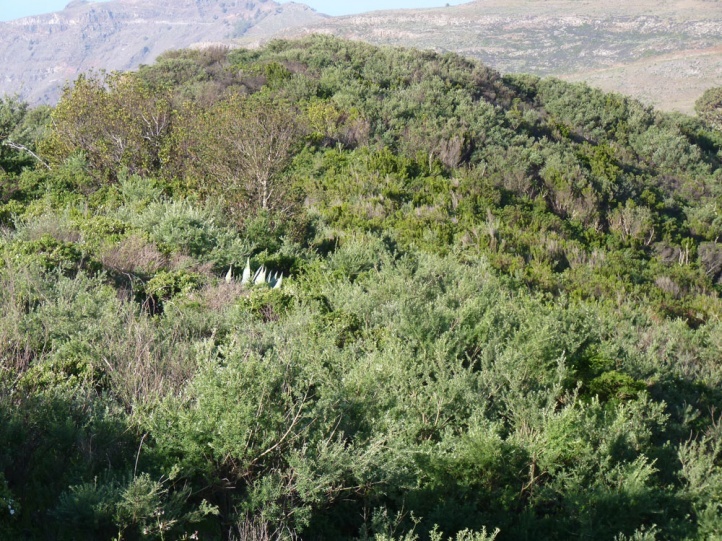 A soon protection of the still existing broom shrubs (Chamaecytisus proliferus) would be very urgent. 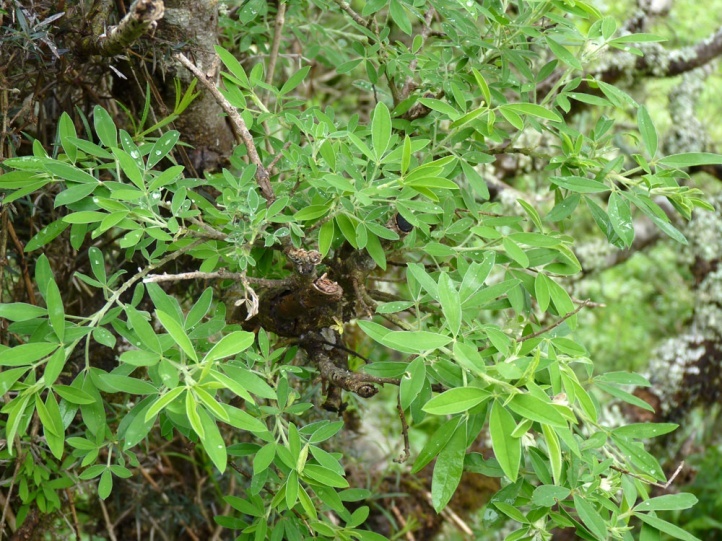 The often observed cutting of broom twigs for animal food (goats etc.) 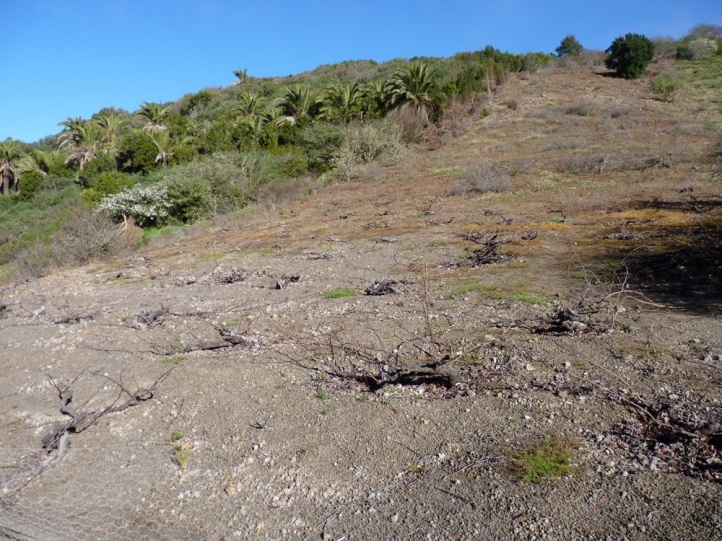 should in the actual extent be no threat for Paranataelia tenerifica, because Chamaecytisus proliferus recovers quickly and the area character does not change. 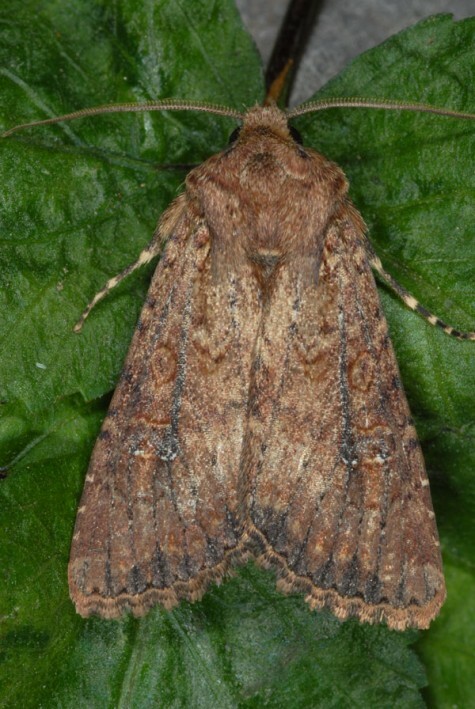 Paranataelia tenerifica is endemic to the western Canaries. 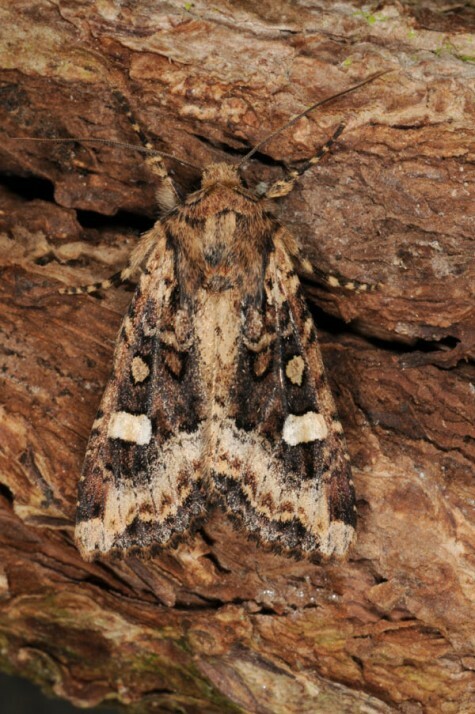 There is also another taxon in this genus (Paranataelia whitei), the status and ecology of which seem to be unknown.